Mobile phone repairing sikhne se pahle mobile phone me use hone wale short word ki full form sikhe. 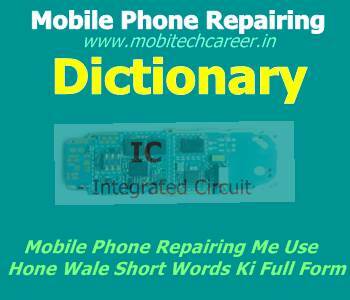 Mobile repairing course me kuch short word use hoti hai jaise – IC, IC ki full form hoti hai – Integrated Circuit. Mobile repairing course in hindi ko start krne se pahle aap in short words ki full forms ko acche se yaad kare. Aage ki posts me in words ki short wordpadhne ko aayenge isliye aap abhi se in full form ko yaad karle. 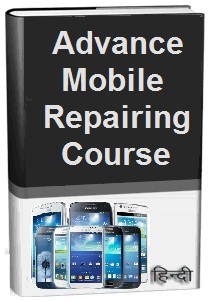 Mobile repair course hindi me online sikhna ab or bhi aasan hoga. Aap is website per full mobile repair course in hindi me learning kr skte hai. Iske liye aap is website ki posts ko step by step reading kariye. Complete mobile phone hardware or software repairing course in hindi me sikhe.